It seemed only fitting to share this post on a gloomy rainy day, because this outfit is 100% rain approved! I’m outwitting the weather with this brilliantly British brand Joules! I don’t know if it’s just me, but if I wake up to rain in the morning; my day is pretty much shot. Im grumpy, tired, and irritable. Basically if its gloomy and rainy out, stay away from me. Haha Having cute rain boots, and a waterproof jacket make things a bit better for me though. My husband was teasing me the other night about how many rain boots I have, but I just cannot help but love them! I think they are so adorable, and the boys and I love going puddle jumping in our rain gear. Plus, how else am I supposed to get through those cold, wet, gloomy days? 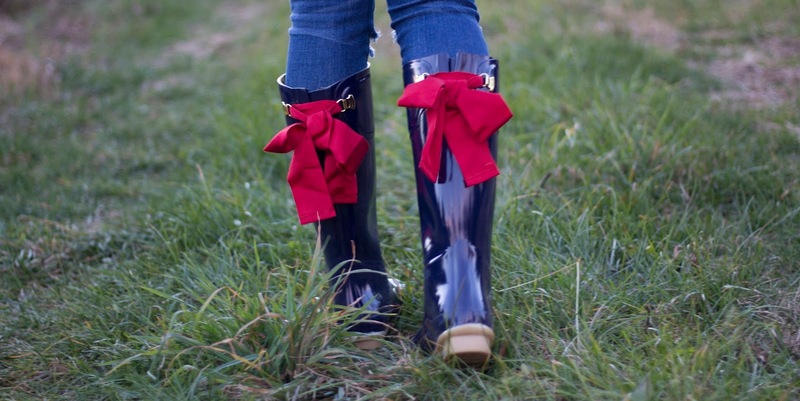 These Joules rain boots are some of the cutest I’ve seen. 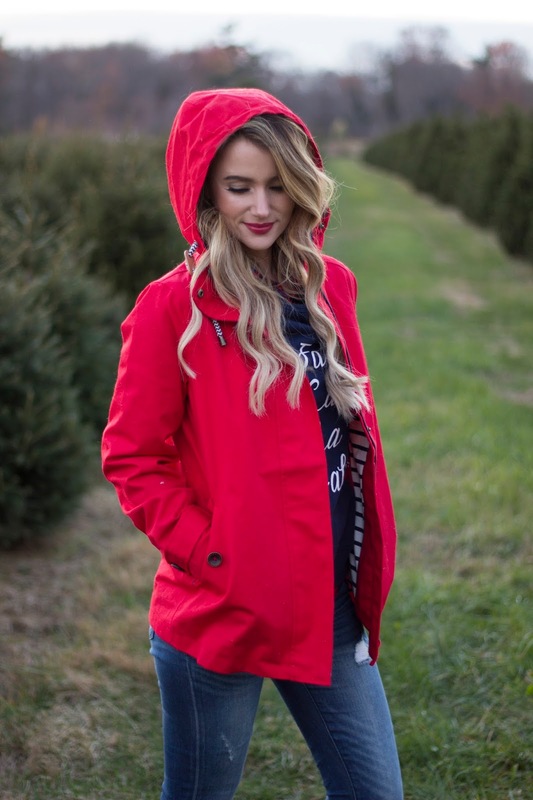 I die over the darling red bow detailing in the back, and the colors are perfect for the holidays! They also have these rain boots in this burgundy color-way , and I’m thinking they need to be in my life too. Considering it’s supposed to rain all day tomorrow, I guess ill be throwing on these boots and jacket again. Stay dry folks, and Happy Tuesday! 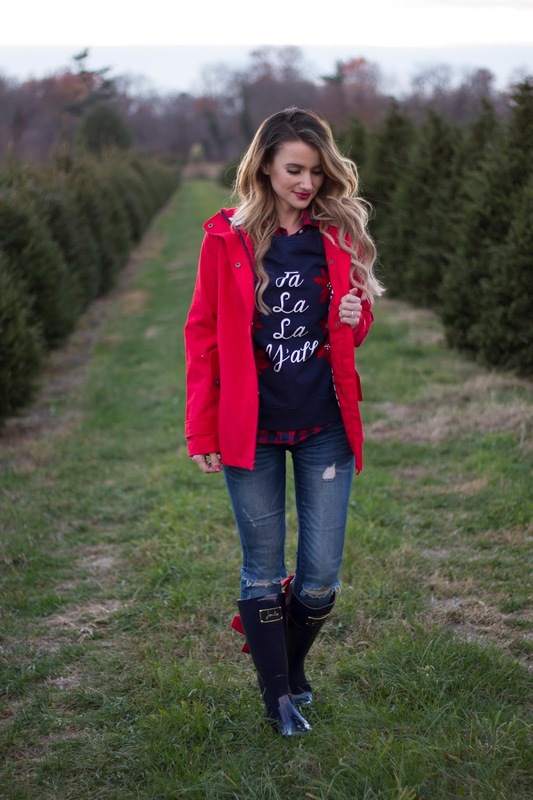 Thank you Joules for letting me pick out my favorite rain approved boots and jacket, and sponsoring todays post. As always, all opinions are my own. your boots are so adorable. I need a pair! How cute are your boots!? Totally up obsessed with those red bows. I love your sweater, I really need to get a festive one like this!